Have you ever patronized a Triad restaurant, bar, or nightclub that serves alcohol and watched the bartender with amazement and envy? The Greensboro bartender is preparing cocktails while having a great time and the dollars are overflowing the tip jar. At the bartending school Greensboro NC, Charlotte NC, and Raleigh NC, you’ll get educated in the art of mixology as well as customer service. We now have educated 100’s of graduates from all over North Carolina as well as the entire USA. A large majority of our bartending students have no prior experience in the food and beverage industry. Bartending is a tricky occupation to get into without prior coaching. 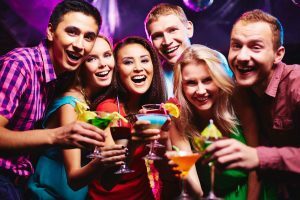 Certainly, you can begin your Greensboro bartending career as a food server or a bar back however that could take six months to two years depending on the establishment you are working for. Bartending school Greensboro has developed its mixology educational training program to accommodate Greensboro bartender school prospective students with no prior expertise. We offer hands-on coaching in a simulated nightclub setting. The students will spend the majority of their time making drinks appropriately and studying the entire gear and terminology skilled bartender must know. If you’re pondering the thought of changing careers, be sure to give bartending some serious consideration. Fill out our contact form to the left and one of our representatives will contact you promptly! In no time, you will be making $20 – $35 dollars per hour full or part-time. Take control of your bartending career and request more information from Raleigh’s Bartending School and call Today!